HypnoBirthing® – The Mongan Method – is a unique method of relaxed, natural childbirth. This is achieved through education enhanced by self-hypnosis techniques. HypnoBirthing® provides the missing link that allows women to use their natural instincts to bring about a safer, easier, more comfortable birthing. Emphasis is placed on pregnancy and childbirth, as well as on pre-birth parenting and the consciousness of the pre-born baby. As a birthing method, HypnoBirthing® is as new as tomorrow and as old as ancient times. It is presented in a series of five, 2 1/2-hour classes. Hypnobirthing is a method that involves hypnosis during child labor. This method prepares women to deliver their child in a peaceful and relaxing way. The approach is to help mothers mentally prepare themselves for the process of childbirth. Specifically, HypnoBirthing uses meditation, deep focus breathing, visualization, and relaxation to comfort mothers during child labor. Having a baby is one of the greatest miracles for expected-to-be-mothers. The pain of childbirth, however, can be a fearful experience for moms. The physical and psychological stress of labor can be overwhelming. HypnoBirthing teaches women to use meditation techniques to deliver their baby in a natural and calming manner. The process is beneficial to both mother and child during labor. The relaxation and meditation methods are safe for both mother and child. It’s all natural and requires deep focus and concentration for a relaxing delivery. Muscles during childbirth often tense up, but the HypnoBirth method reduces tension and mentally prepares the mother for labor. During the birthing process, stress hormones are reduced while endorphins and serotonin levels increase. This provides a more relaxing and comfortable labor experience. Your own copy of the 302-page book, HypnoBirthing– The Mongan Method. 5 information-packed class meetings, helping you to understand why labor is manageable. Professionally written scripts for your home practice. 2 audio downloads for your relaxation, stress reduction, and bonding (Including the program cornerstone disk, Rainbow Relaxation). Handouts for planning your Birth Preferences. A set of Birth Prompts for your birth Companion. .Demonstration and practice in optimal birth positions. A hypnotic session on building birth confidence and eliminating fears. A guide to good pregnancy nutrition. Several deep relaxation techniques for use during birthing, plus well-paced instruction designed to build your confidence and help you to have a safer, easier, and more comfortable birthing. Special calm breathing methods for use throughout labor and during birthing. Small classes for personal attention. Body toning exercises and practice. The advantage and confidence of the Mongan Method reputation for top-quality birthing preparation. Eliminates fatigue during labor, leaving mother fresh, awake and with the energy needed for actual birthing. 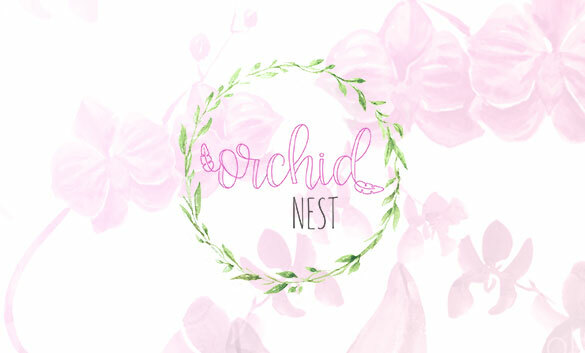 The Orchid Nest offers HypnoBirthing Classes in Broward County and its surrounding cities that include Pompano Beach, Fort Lauderdale, Margate, Davie, Coconut Creek, Coral Springs, and nearby cities. We also provide HypnoBirthing classes in Palm Beach County and its surrounding cities that include West Plam Beach, Boca Raton, Delray Beach, and its other surrounding cities.